So, have you ever wondered how operate a credit card? Then this article’s for you. Credit cards can help when an immediate payment needs to be made. This usually occurs due to an unplanned expense. So a visit to the hospital or a car breaking down are examples of unexpected expenses. Ask about credit card requirements. Most of the financial institutions’ conditions are alike, but some specifics may differ. Make sure you understand what the prerequisite of yours is. Be upfront about your history with other credit services. Include records of other accounts, to verify that you pay your debt on time. Begin using your credit card wisely. Do not spend the maximum amount of your credit. Pay your outstanding credit balance on time. If you pay it in a short amount of time, you are likely to exclude any extra costs (like interest). In limiting the amount you spend on a purchase, you can remove that debt faster. This helps you develop a healthy credit record. With this kind of record, you build a healthy relationship with your credit provider. It also benefits you in future financial endeavours, as the institution will rather provide assistance to a person with a respectable credit record. Do not max out your credit. It will be tempting to go on a shopping spree, once you have a credit card, but that will be unwise. In stretching your credit limit, you cause the credit provider to think that your income is not enough. This, in turn, creates the idea that you may not be a suitable candidate for any further credit advances. Be cautious with the details of your credit card. Do not trust anyone with the pin, login or any other aspect in the use of your card. Report any stolen or lost cards immediately. 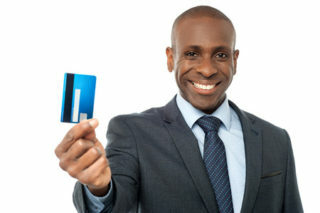 Be sure that you understand every single aspect of managing your credit account. Be aware of any additional charges. Also, read the fine print and if you need clarity then ask all the necessary questions. The option to automatically pay your other accounts. This can benefit you in paying your accounts on time. You only then need to remember to pay your credit balance. Some cards include great deals that can help you save or receive some incentive on spending. See which one will benefit your lifestyle best. Increase the max on your credit. As you develop your credit record, you can ask for an increase to the limit on your credit card. The idea of increasing your credit is excellent, but it can hurt your record as well. It is a future possibility, but do not be hasty. Firstly become reliable credit user and build a good reputation. Afterwards, more doors will open. This will teach you how to operate a credit card.